People say practice makes perfect. I guess I would apply that to my situation here. After a long thought, before I embark my journey with my second aquarium project – creating a well planted aquarium, and before I start doing things on bigger size equipment, I would like to give it a try first at a smaller scale. This end up to be another shopping spree to me. How I love pay day!!! 3 stops for today. 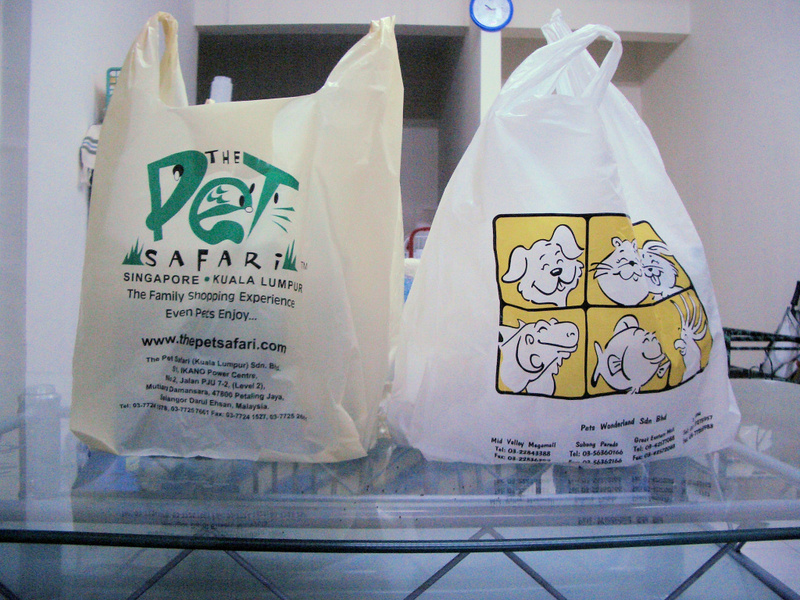 Carrefour & Pets Wonderland at Mid Valley Megamall (well, just down my office) and The Pet Safari at Ikano Power Centre. And the shopping list for today…. Recently, I notice Carrefour starts selling aquarium as well. Has it become a trend? 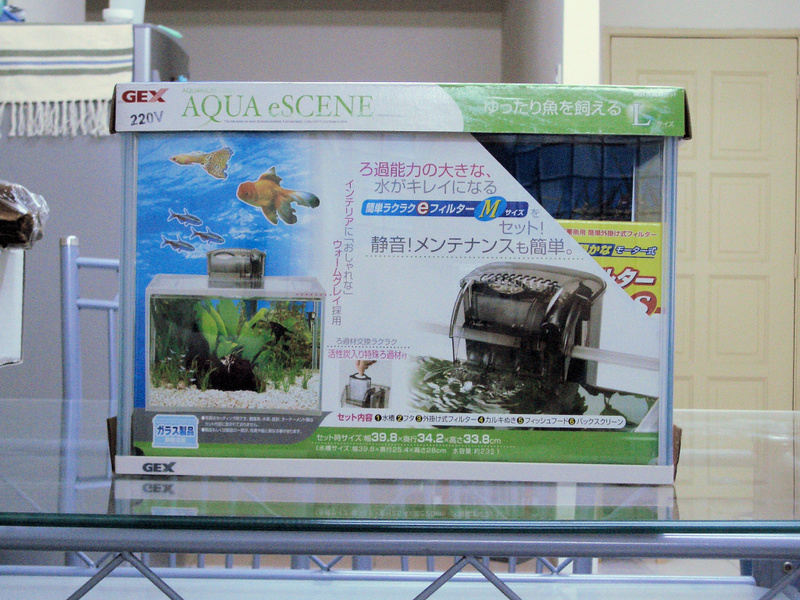 I’ve been seeing this mini aquarium, imported from Japan so many times everytime I visit Carrefour. 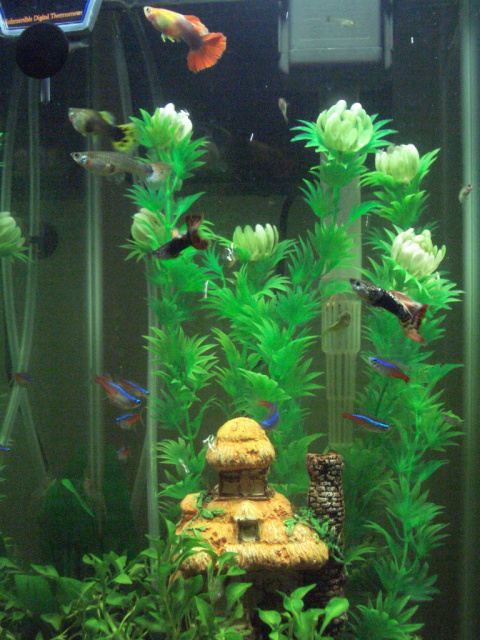 Since I’ve made a decision of starting at smaller scale first, I just bought the following eScene Aquarium. Comes in 3 sizes, S, M and L. I go for L.
Next stop. Pets Wonderland. I’ve been browsing through this shop may times before during my lunch hour, to see what equipment that they have. It just happen to be that they have quite a number of drift wood to choose. 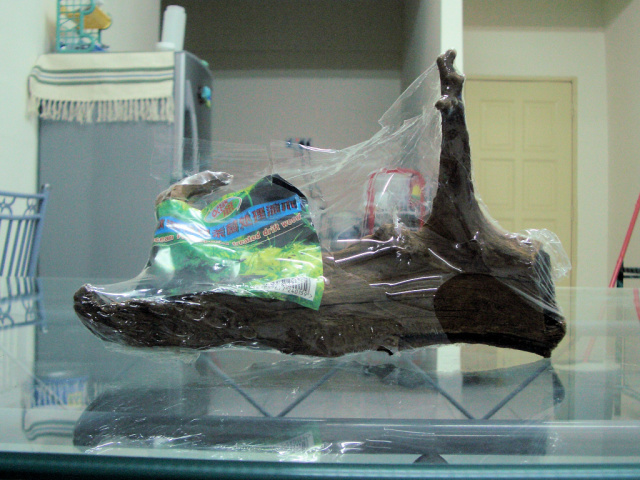 I see drift wood is kinda a must in aquarium, where aqua plant will ground around and even on them, creating a very natural and beautiful aquascape. So I got this Ocean Free special treated drift wood there. 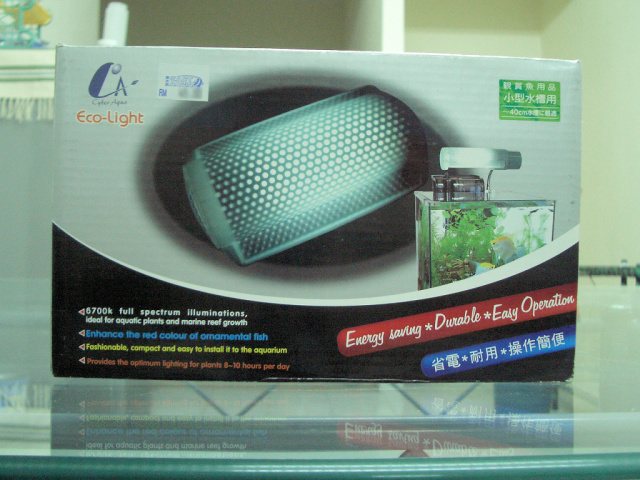 Again, comes in 3 sizes, S, M and L. I just got the S one since it shouldn’t take most of the space in aquarium. Treated means that it has been treated so that it’s submerge into the water, and won’t change the chemistry of the water. I hope that the claims is true. The next thing that I get from Pets Wonderland is this GEOsystem planting rock. 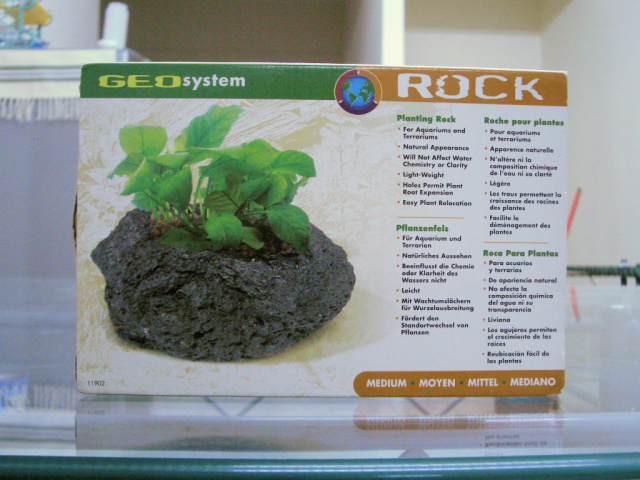 It has a hole in the middle so you can put soil in and plant an aquatic plant on it. I;m trying to get the S size, but sold out. I got this M size instead. Hope that it fits in my mini aquarium. If not, I’ll save it for my bigger aquarium later. Allrite. Next stop. The Pet Safari and Ikano Power Centre. 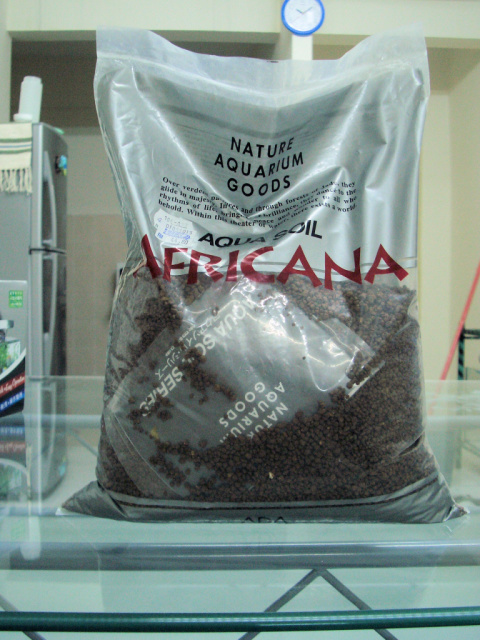 Believe it or not I get this ADA Aqua Soil Africana. 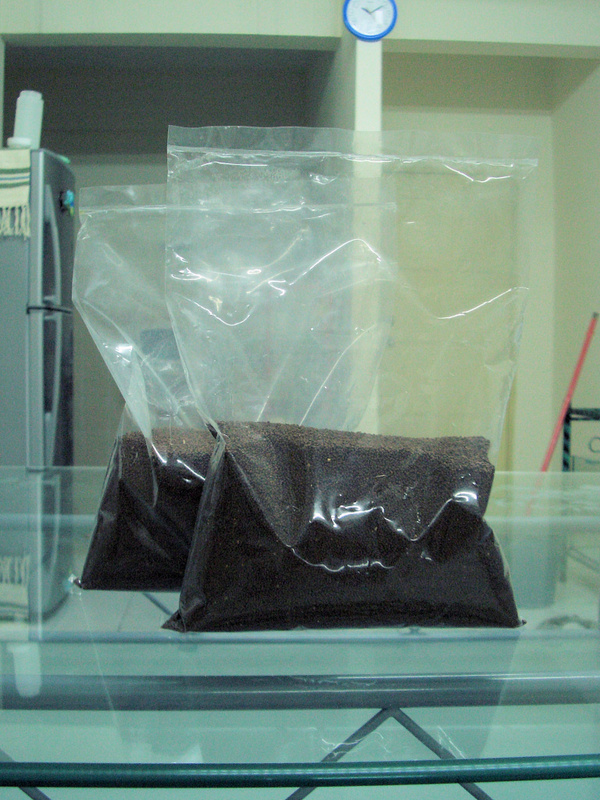 ADA soil is like a goddest soil / the best substrate to use for planted aquarium, and it costs, hhhmmm well… ridiculously expensive. 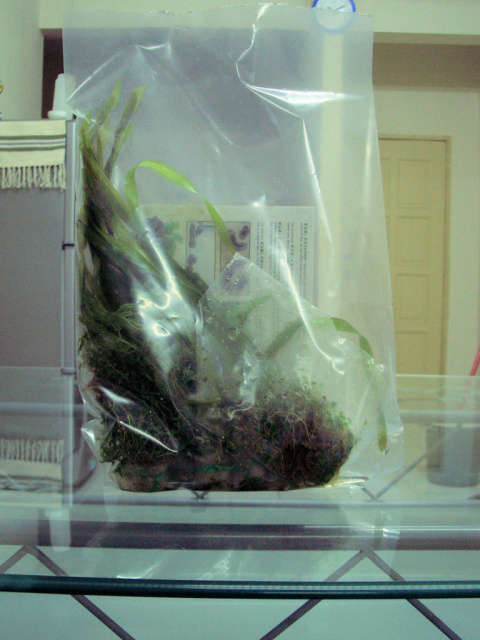 ADA stands for Aqua Design Amano, the company that produce this soil. I think it has something to do with Takashi Amano (whoever he is). What makes it so special (thus so expensive). This is the article that I Google around titled The Magical Substrate Called Aqua Soil. 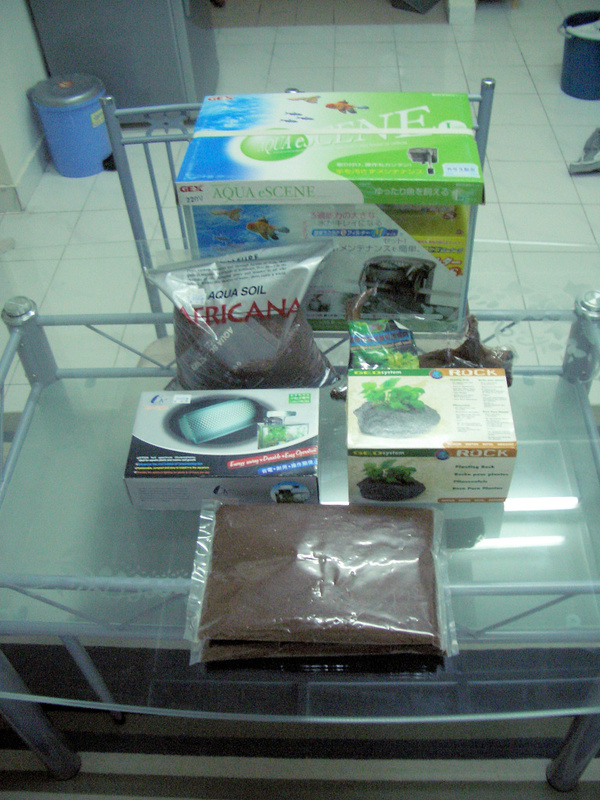 I also bought the smaller size Aqua soil, for the top layer. The above above one will act as the base substrate. The top layer no need to be that deep, so I just got the smaller packet (they they manually pack from the original packet of Aqua soil). Next, is the light. Well, plants do need lights to do photosythesis, don’t they? It stated here this light has 6700k full spectrum illuminations, and is ideal for aquatic plant. 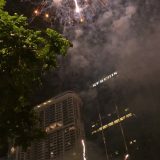 Again, I hope the claim is true. Lastly, I need the plants themselves. For a good aquascape, we should contrate to 3 layers of aquatic plant. Foreground plants that will never grow tall, midground plant that has a medium height, and background plant that is really tall. I jusk ask the person there to give me suggestion on which I should use and easy to plant and grow. I don’t even know their names. Hehehehe. So my current fish. You all wait arr for the time being. Sooner or later, I will proceed with setting up the bigger aquarium, and you all can have bigger space to swim, in even more natural environment. do you plan to put in a CO2 system? If you do, post it, cost i wanna see it. you seem like a rich fella, beli je beb, baru rm300 for a needle valve and CO2 tank.